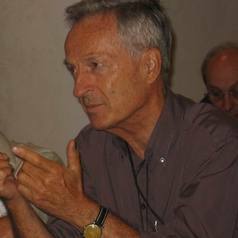 Michel Balinski was an applied mathematician, mathematical economist and operations research analyst. American, educated in the United States, he lived and worked primarily in the United States and France. He was known for his work in optimization (combinatorial, linear, nonlinear), convex polyhedra, stable matching, and the theory and practice of electoral systems, jury decision, and social choice. He was author or co-author of over a hundred scientific articles in addition to three books. Founding Editor-in-Chief of the journal Mathematical Programming (in 1971), he was one of the founders of the Mathematical Optimization Society in 1970 and President of that society from1986 to 1989. An INFORMS Fellow, he was awarded INFORMS’s Lanchester Prize (1965) and John von Neumann Theory Prize (2013), the American Political Science Association’s George H. Hallett Award (2008), and the Mathematical Association of America’s Lester R. Ford Award (1975 and 2009). Professor of Mathematics, Graduate School and University Center, C.U.N.Y. How best to rank wines (with Rida Laraki) , In, Wine Economics: Quantitative Studies and Empirical Applications. London: Palgrave. 149-172.